Miniature Ball Bearing, Double Sealed, Bore Dia. 0.375 In., Outside Dia. 0.875 In., +0/-0.0004 In., Width 0.2812 In., ABEC Tolerance 1, Dynamic Load Capacity 745 lb., Static Load Capacity 315 lb., Max. RPM 38000, Temp. 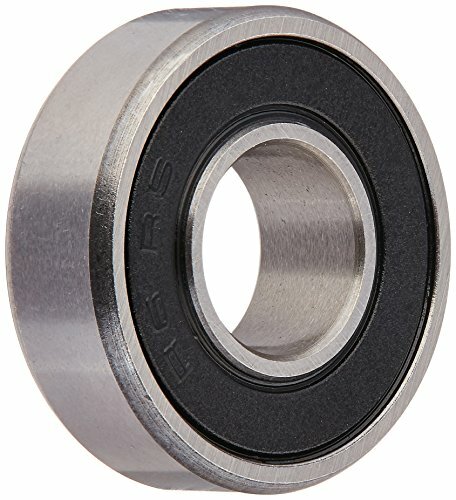 Range -40 Degrees to 350 Degrees F, Steel Bearing Material, Pressed Steel Cage Material, Synthetic Rubber Molded to a Steel Plate Seal Material, Polyrex EM Grease, Industry Number R6-2RS.